We’d love your help. Let us know what’s wrong with this preview of Revenge of the Witch by Joseph Delaney. To ask other readers questions about Revenge of the Witch, please sign up. Is this book a horror genre or fantasy??? If Its horror I'm returning it. I don't read horror. John Smith It’s fantasy but it has some horror elements. Especially the first ones. But I read it when I was 11 and didn’t really get scared. Warning: my long and boring rants follow. There are some things that bug me and this review happened to be a good place for them. Sorry. If you own a farm you never split it between your children, otherwise several generations later there will be nothing left to split. You give the farm to the oldest child which leaves you a very tough problem to find a place in life for the rest of your kids. Now imagine you have seven sons - and you yourself were the seventh son, but managed to come up with som Warning: my long and boring rants follow. There are some things that bug me and this review happened to be a good place for them. Sorry. If you own a farm you never split it between your children, otherwise several generations later there will be nothing left to split. You give the farm to the oldest child which leaves you a very tough problem to find a place in life for the rest of your kids. Now imagine you have seven sons - and you yourself were the seventh son, but managed to come up with some money to buy a farm. This was exactly the problem the father of young Tom Ward was facing. Tom was the last son and as such his father was at loss at what to do with him. Fortunately being a seventh son of a seventh son made a good Spook material out of Tom, so the local Spook took his as an apprentice. Spook's job is to deal with all kind of supernatural troublemakers: ghosts, ghasts, bogarts, evil witches, and such. Spooks do not possess any magic; they do their job using only their wits, brains, and experience. The whole nature of the work makes them, well, spooky and as such they do not have any friends and people while being glad to be rid of supernatural troubles, make their best to avoid Spooks in everyday life. This is the life which awaits Tom is he manages to be good enough to enter the full apprenticeship. This is a young adult horror novel. I would not say it is very scary, but it does have quite a few really spooky (sorry, I seems to overuse the word) moments. Thus the rant moment came. It seems to me the US writers and publishers are busy writing and publishing angst romance novel calling them young adult (YA) literature to the point where it is impossible to find any non-romance centered YA book. I have nothing against angst-ridden romances and they have their place in literature, but I really do not understand why this is considered to be the only type of YA genre. At the same time British writers still remember the distinction between YA and romance. For the good example of YA without too much romance look no further than Harry Potter. This series is another example of this. This is a fairly short, fast and easy read with some horror elements. I was not completely satisfied with some characters as they seem to be two-dimensional, but this is the first book of the series, so there is still hope for them. My rating would be something between 3.5 stars and 4, but I will round it up and reserve my right to change it after I read other books of the series - and I will most definitely continue reading them. Another rant is coming. Why oh why do US publishers consider changing the titles of the books published in GB to be their first and foremost duty? We were lucky with Harry Potter as only the first book suffered this fate, but in case of this series I think all the titles were butchered. 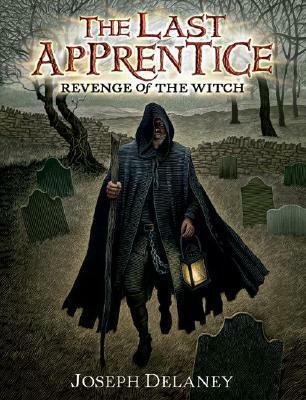 UK title: The Spook's Apprentice. US title: Revenge of the Witch. What was so exotic and hard to understand about the UK - original - title so it had to be changed? Does US publishing industry consider its readers to be complete retards unable to understand some local UK terms? I think they do add flavor and color to the tale. Luckily it is possible for Canadians to find books published in UK in local bookstores and this is what I will do for this series. Rant off. I read YA and survived. Imagine that. Now now, no need to be slightly horrified, my Little Barnacles, or fear for the future of the planet. The fact that I did not convulse while reading the book doesn't mean I loved it. Which means doom and destruction will have to wait for a bit [insert sighs of utter, total and complete relief here]. Okay, to be honestly honest, I didn't, you know, NOT love the book and stuff. I might even have enjoyed it a little. ← I never wrote this and you didn't read it. I read YA and survived. Imagine that. Now now, no need to be slightly horrified, my Little Barnacles, or fear for the future of the planet. The fact that I did not convulse while reading the book doesn't mean I loved it. Which means doom and destruction will have to wait for a bit [insert sighs of utter, total and complete relief here]. Okay, to be honestly honest, I didn't, you know, NOT love the book and stuff. I might even have enjoyed it a little. ← I never wrote this and you didn't read it. Go home, you're drunk. But I didn't, you know, lurve it and stuff, either. Which means, you know, that I'm still me and stuff. Feel better now? Good. You're welcome. ✔ The writing is pretty good It's not badly written. ✔ The story is fast-paced It's not too boring. ✔ The youngish hero is quite likable The disgustingly underage MC is neither totally unlikable nor exasperatingly immature. ✘ The story isn't bad but desperately lacks originality. ✘ YA Fantasy coming of age stories = YAWN. ✘ The story isn't bad but is horrifyingly lacking in the Deliciously Horrific Stuff Department (DHSD™). ✘ The story isn't bad but revoltingly lacks Scrumptious Rated R Moments (SRRM™). ✘ I can't be bothered. ✘ I can't be bothered. Ha. Also, some ill-intentioned nemeses well-intentioned friends told me later books in this series were really bad. So QED and stuff. Because Evgeny described this as "Harry Potter set in medieval times written as horror with the main character having zero magic power." So let's get crazy! Let's read YA! I am strong! can do this! This is written on the back of the book. And I really wish I took that advice. Cause for a children's/ya book, this one is freaking scary. From the beginning this book grabbed my attention, and it held it all the way to the end. I liked the characters, especially Tom and Alice. I loved how Tom grew throughout this book, and I enjoyed reading about his journey. I liked the world, this was set in. I also really liked where the story went, and there were even some plot twists that I didn't see coming. Abstract: For years, Old Gregory has been the Spook for the county, ridding the local villages of evil. Now his time is coming to an end. But who will take over for him? Twenty-nine apprentices have tried—some floundered, some fled, some failed to stay alive. Only Thomas Ward is left. He's the last hope, the last apprentice. - First of all, a very, very engaging and rather original plot! It's similar to HARRY POTTER in this: both take place in England, and both have a lot to do with folkoric creatures and legends: witches, boggarts, and the like. But there's where the similarities end. You can read the synopsis up at the to Excellent! Excellent! Excellent! - First of all, a very, very engaging and rather original plot! It's similar to HARRY POTTER in this: both take place in England, and both have a lot to do with folkoric creatures and legends: witches, boggarts, and the like. But there's where the similarities end. You can read the synopsis up at the top and know that this will be the story of Thomas J. Ward, the seventh son of a seventh son (hey Angie Sage--that's like your story!) who becomes the apprentice of the County's Spook (hold your horses - fellow Americans! That's the dude's title) and through all sorts of adventures learns the lessons of the trade. - Second, I am a new, big fan of Joseph Delaney's writing style. His prose is simple (not highfalutin' like some other authors out there!) and yet incredibly descriptive; he draws you fully into the world of his story. Every word is engaging, every word flows with ease to create an image in your mind. - With that in mind, I do want to make a declaration: I READ THIS BOOK AFTER DARK! The book warns readers specifically not to do that. And I huffed and I puffed and I said, "this book won't be scary! I'm 21 years old now!" and within a few minutes I was opening up my rommmate's door just to make sure I wasn't alone. So this book isn't really *scary* so much as it's incredibly eerie in some sections. There are parts that read like a good'ol fashion ghost story. In my opinion, Delaney doesnt overdo himself and really hammer home what's going on - rather he paces everything so that you are drawn in to the suspicion and the intensity of the story and you can't put the book down! I'd really rather give this one 4.5 stars, because it was an excellent book. Although a young adult book, it is definitely sophisticated enough for an adult to enjoy it (I don't consider myself sophisticated, but I still think a person who is would like it). I liked that the suspense builds. There are no cheap thrills or shock value scares. Instead, the author takes his time and builds up the menace so that you spend your time trying to prepare yourself for the scare. Even still, you won't hear I'd really rather give this one 4.5 stars, because it was an excellent book. Although a young adult book, it is definitely sophisticated enough for an adult to enjoy it (I don't consider myself sophisticated, but I still think a person who is would like it). I liked that the suspense builds. There are no cheap thrills or shock value scares. Instead, the author takes his time and builds up the menace so that you spend your time trying to prepare yourself for the scare. Even still, you won't hear someone yelling 'boo.' Instead the moment of dread will come and you will think, whoa, "I'm glad I'm not in Tom's shoes right now." I do love stories where a character comes into their destiny, and this is one of them. Tom wasn't really sure that he wanted to be a spook after all. But he didn't have any other trade in mind, and he definitely didn't like farming. But it turned out his destiny was waiting for him as the seventh son of the seventh son. He was apprenticed to train as the next Spook, which is a person who rids the towns of evil, supernatural creatures. It is a job that is looked down on by others, and promises to bring the bearer a lonely life. But at the time, Tom figures it's better than farming, and his mother doesn't really give him much of a choice. Let's just say she had his destiny determined long before he was born. You get to see Tom struggle with his role as the Spook's Apprentice, several times, deciding to quit but having his mind changed in various ways. He makes some mistakes along the way, but learns from them, so there is also a good coming of age story in this book. I like that there is definitely good and evil in this book. But there are also humans who could go either way. Yes there are bad witches, but there are some that are benign. There is one character that is likely to be in-between, and she has a very pivotal role. I believe that she will have a very important place in Tom's life as he matures. Perhaps there will be a romantic future for Tom and Alice when they get older. The parts with the witches really did unnerve me. They are horrible creatures who kill and eat people and use their bones for dark magic. It was refreshing to read a book that actually had bad witches for once. I was very proud of young Tom for facing off on not one, but two witches that were out for his blood and his bones, and saving a young child that was likely to be one of their victims. The author really did a great job of setting a sinister tone. It wasn't over the top, but very subtle and building. His use of words drew a very vivid image, where I felt as though I was standing there and the witch was crawling out of the grave to get me. Another thing I liked was that this story was not predictable. You don't know how it's going to end. You don't know the way in which the witch will manifest herself. She could have possessed any one of the people in the house during the climax moments of this story. Tom was a sympathetic, likable narrator. He was realistic for his age, but I truly did admire his bravery although he was scared when a rational person would have been scared. He was often left to deal with situations that would have been challenging for a grown-up, much less a boy of twelve. He risked his life to do the right thing, and that was very admirable to me. There are questions that I would still like answers to, but reading the next books in the series, will definitely give insight into the enigmatic Spook, and Tom's mother, who has gifts that are still somewhat mysterious at this point. Intensely scary. There was a time or two I raced up the stairs to jump into the safety of my bed after listening to this book. Thank goodness I'm left-handed which, according to the book, gives me a slight advantage over anything creepy that goes bump in the night. One star had to go for things like coffin maggots and carnivorous hogs--gross! Of the books I have recently listened to on CD this one has the best narration by far. It is excellent. "Baukov šegrt" je prva od 13 knjiga u serijalu, kod nas je naravno i jedina prevedena (hvala Goodreadsu i Googleu na postojanju). Pomalo mi je krivo zbog toga jer je ovo jedna od boljih knjiga za mlade koju sam pročitala u poslednjih nekoliko godina. Pre svega, otvara nam se novi svet u kojem postoje raznolika bića za koje smo delimično čuli: veštice, bukavci, duhovi, a tu su i različite biljke koje je potrebno izučavati u okviru botanike i mnogo toga drugog. Kako bi se održao mir i zaštitili ned "Baukov šegrt" je prva od 13 knjiga u serijalu, kod nas je naravno i jedina prevedena (hvala Goodreadsu i Googleu na postojanju). Pomalo mi je krivo zbog toga jer je ovo jedna od boljih knjiga za mlade koju sam pročitala u poslednjih nekoliko godina. Pre svega, otvara nam se novi svet u kojem postoje raznolika bića za koje smo delimično čuli: veštice, bukavci, duhovi, a tu su i različite biljke koje je potrebno izučavati u okviru botanike i mnogo toga drugog. Kako bi se održao mir i zaštitili nedužni, sa zločestim i zlim stvorenjima na kraj izlaze bauci. Na početku ove priče upoznajemo se sa trinaestogodišnjim Tomijem, sedmim sinom sedmog sina (gle čuda), čija je sudbina da postane baukov šegrt. Obuka nije ni malo naivna, a put šegrtovanja i život bauka je samotan život uz puno odricanja i neprestane opasnosti. Najbolji pokazatelj jesu prethodni šegrti koji nisu završili svoju pet godina dugu obuku usled pogibije. Sadašnji bauk je Gregori, bivši sveštenik koji godinama obučava šegrte. Prilično je rezervisan u početku i tek pomalo uspevamo da vidimo naznake njegove duhovitosti i pravog karaktera. Kao učitelj je obazriv i strog, što donekle obeshrabruje Tomija. Kada načini grešku i oslobodi vešticu, lekcije koje je dobio od bauka su mu pomogle da zaštiti porodicu i spasile život. Shvatajući da ima potencijal za bauka, Tomi odlučuje da nastavi sa obukom. Bah!, nada nuevo ni especialmente bien contado. Brujas secuestraniños y un aprendiz de brujo ( en terminología Sapkovskiana) que aquí llaman Espectro. Tres estrellas porque al menos me lo he acabado. ¡Anda, si hay peli del libro! Pues para la famosa madre del topo. As Goodreads has grown it seems there are more and more people looking for recommendations for YA series in a similar vein to Harry Potter or The Hunger Games. As you can guess from the tangent I'm making: this is one of those books. If you're not into Dark Young Adult Fantasy then it may take you a minute to adjust to this book. And I must warn you that the series gets darker and darker - highlighting the 'adult' part of young adult. But all that said, there is a film adaptation on the way, along with the final book and the series constantly has heroes which are good despite certain compromises. In fact, it is the battle between what is 'good' and 'evil' (characterised by Light and Dark) which drives the entire series. At times compromises are made for the good of the world in which the series is set and at times evil seems to win out with good finally triumphing at a cost. Yet, the storytelling is not found in the final foregone conclusions. It is found in the ability of Joseph Delaney to spin and hold the reader with twists and turns. It is the suspenseful atmosphere and the horror of the tale which are the true hallmarks of a great storyteller. In short it is a wonderfully written series of stories. This was pretty good! I enjoyed it. It wasn't much and it wasn't complicated but I liked this as a simple middle grade fantasy series. I don't have a lot to say about it, but I will likely continue with the series! I liked this book overall, certainly far better than the movie based on it! A little slow-paced initally, but very moody and evocative, and certainly seems to set the stage for some plot threads to be followed up in further books. Simpatična priča predominantno YA žanra, no lako je mentalno se vratiti u te godine obzirom na izuzetno lagan, pitak stil pisanja. Kome treba psihičko opuštanje - topla preporuka! I read this in the hopes it would be something my son might want to read. I'm thinking this wouldn't really be his thing, though. The setting is 'old-timey' and the writing is a bit dry compared to what he normally seems to prefer. I had a pretty easy time putting it down, and considering it took me three days to read 160 pages? Yeah...I'm probably not going to be passing this one on to him. Anyhoo, this would probably work for a kid who is looking for a spooky series, and doesn't mind the above mentioned things. Depending on your kid, this could either be too scary or not scary enough. For my son it wouldn't be a problem, but I think it's probably wise for parents to preview it first...'cause nobody likes those midnight 'Can I sleep with you?' moments. Such a good series! There's always something special about the first novel. Read by Christopher Evan Welch and he was a splendid narrator. Loved it! Vraiment très sympa ! C'est jeunesse, mais certains moments font frissonner, et l'univers en général est très intéressant, avec diverses créatures maléfiques, et une ambiance qui s'assombrit... Je lirai avec plaisir la suite à l'occasion ! Yes, this is a good book. BUT I would be sure that the "youth" reading it has a good "reality concept". In spite of my own local public library calling it or rating it "juvenile" I'd say the description "young adult" would be more apt. There are a lot of fairly "creepy" scenes including danger to children and reference to the death of children. There is the slightly negative view of religion here that has become so prevalent of late, but it's mild and left open to later interpretation/reinterpretation in later books. The view seems to be based on the kind of negative impression that can be left by "religious" folk of an overly legalistic or judgmental mindset. And some parents may share those views, so to them it may not seem as much of a problem. I'd say these and any other "drawbacks" could be handled by a parent/guardian/responsible adult who loves the young person in question reading the book either with or before the youth and being ready to explain, discuss and otherwise guide the said youth. (view spoiler)[There are times in this book when I think anyone who has done any reading at all will see what's coming a proverbial mile away. Tom is told "whatever you do don't EVER do this". Of course we know that things will transpire so that Tom finds himself doing exactly that. This kind of thing happens several times in the book. But as I said, to younger readers this may not be as big a deal as it will be to adults. It's still a good read and enjoyable. As to being sure that a young person is mature enough or has a good enough reality concept to read the book, remember the movie Hocus Pocus? While it cleared pretty good money world-wide it didn't do nearly as well as expected. Why? In my opinion it's because the movie opens with the murder of a little girl by the witches... no it's not graphic, we only see the witches "sucking" the life from a child who's back is turned to the camera, but it was something that parents weren't thrilled with. I always wondered who at Disney studios missed that little detail... oh well. Anyway, here in this novel, there is mention of "infant's blood cakes" and there is a child at one point being drained of life by an evil witch (we're told all witches aren't necessarily evil in the book's text lest this concern some)... so be aware. There are a few of these scenes. Among the plot points are not only child endangering evils but also possession and of course, hauntings, etc. So, be aware. I don't think these reasons necessarily to avoid this book, just something to be considered in choosing who reads what. It's well written and well told just be aware and tailor the reading to the young person. ספר פנטזיה משובח, ממתק לחובבי הארי פוטר ודומיו. קראתי הכי לאט שיכולתי כדי שלא יגמר ונהניתי מכל רגע. ישנה טענה בגנות השוביניזם הבוטה של "הצל", אחת משתי הדמויות הראשיות בספר, אך עד כמה שהעניין צורם, מדובר בשיקוף של הדמות הספציפית, ולא כתפיסת עולם המאפיינת את הספר. 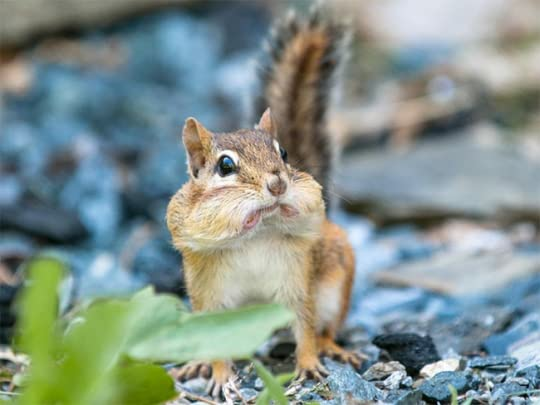 מצער מאד שיתר ספרי הסדרה לא תורגמו לעברית. Spook’s is such a quaint English tale that it almost disarms you when the real horror begins. Spook’s Apprentice is was a YA debut novel by Joseph Delaney, so I’ll be find *crosses heart*. Spook’s is one of those a-typical British fantasy novels, where it takes a lot of influences through the English countryside and English mannerisms (J R R Tolken, C S Lewis etc). It reminded me of sitting in front of the TV when I was 10, watching The Lion, The Witch and The Wardrobe being scared half to deat Spook’s is such a quaint English tale that it almost disarms you when the real horror begins. Spook’s Apprentice is was a YA debut novel by Joseph Delaney, so I’ll be find *crosses heart*. Spook’s is one of those a-typical British fantasy novels, where it takes a lot of influences through the English countryside and English mannerisms (J R R Tolken, C S Lewis etc). It reminded me of sitting in front of the TV when I was 10, watching The Lion, The Witch and The Wardrobe being scared half to death while using the cushion as a shield against the evil things – the oxymoron here was that I couldn't keep my eyes off what was happening, so I had to watch it. In some ways this novel is similar. Much to my surprise there is no real structural fantasy like you find in most of the genre. Magic isn’t a thing – the powers we find are more apotropaic (I've the Eye of Horus tattooed on my right arm, it’s a load of cods-wallop!) and natural magic – so fundamental interaction. Like a natural remedy your mum or nan might have given you when you were a kid (for example – thyme has natural antibiotic/septic in it, Lemon for stings and some burns etc). 1. Always rely on your own two feet. 2. Woolly socks and comfortable boots will be needed. 3. Always write down what you see, hear and do. 4. Compliment the cook from time to time. 5. There are many types of Boogarts’ – hairy, free and bound. Some like to cook! 6. There are many types of witches –malevolent, free, unaware and bound - don’t trust the ones with pointy shoes! 7. How to artificially bind a Boogart – a stone the size of the Boogart Iron and blood to attract the damn thing. Lots of luck! Now you get an idea, the ‘magic’ is all rather quaint, but when it comes to the actuality of dealing with something, it doesn't feel right. Why? Mainly because I'm use to the protagonist walking up to something so meaningless and whacking him with some kind of Earth shattering spell – just because he can. That doesn't mean to say I didn't enjoy Spook’s Apprentice far from it my dear fellow, it’s a jolly tale! As you can guess a Spook deals with what lurks within the dark! They aren't the most popular of folks, it’s a lonely life. One that Thomas (or Tom) finds himself thrust into. Being the seventh son of the seventh son is a real bugger – he was made for this, in more ways than one. His mother (who I suspect is a witch herself – if that is a spoiler, I apologies, but it feels like an uneducated guess! I've not actual met any witches.) made sure to have seven sons for this reason. Lovely – so the story itself revolves around Tom and his tutor Mr. Spook (he doesn't have a name yet, so Mr seemed fitting) giving him lessons on what to do and not what to do as a Spook. Tom has to grow up in a short space of time and face ‘things’ that he is in no way prepared for – including trusting women with pointy shoes! I know, he did what he wasn't meant to do! The tale really begins to take a darker turn once Alice, Bony Lizzie and Old Mother Malkin, all witches of varied sorts – it’s like a pick-a-mix of witches here. I was completely unprepared for those cakes which were supposedly made from the blood of babies – blimey! It was all Tom’s fault, see he did something behind the Spook’s back, he made a promise to a witch and was bound to follow through with it. Why did he follow through with it? Well, because he is both an idiot and gentleman at the same time. Now the back of the book does say “don’t read this after dark” – I can see why it might have that warning. Spook’s Apprentice does get jumpy in parts, to my delight. I'm a big fan of that in literature as it hardly happens to me reading a book. Some of the characters are eerily dark as well. Mother Malkin really is a match for some of those twisted witches from ancient Greek mythology (Erichtho, Graeae/Morai and Hecate – Erichtho especially is a twisted one, according to Professor Daniel Ogden anyway – yes I studied a module called “The Dark Arts – Magic & Witchcraft” back in the day). Malkin’s sister, Bony Lizzie is mentioned in the novel often, but hardly seen until the end – sometimes the unseen but heard-of has ample affect to cause fear. Alice is the daughter of Bony Lizzie, she becomes paramount in the story and certainly gets Tom involved deeper than he would have liked. I liked Alice, but then again I liked Mother Malkin for her unholy vigour – a nice balance between an evil witch and a witch growing up plays out. What you don’t get with Spook’s Apprentice are profound quests, a world-spanning adventure. The Spook’s are just there, because no one else can and will do the tasks they do. Possibly because it reads like bloody hard work and haphazard at times. It’s a rather unique fantasy novel in that respect. I can see why they changed the film adaptation from the novel so much – it’s a slow burner in comparison. But why rush the read, I find it hard to swallow those writers who shove everything down your throat within twenty pages, literally. No I’d rather savour the meal, in that I’d have a better recollection of what happened. Some writers are guilty of this. Whether it is because readers are impatient and are catering towards that audience or it’s just the way they write – it’s a difficult one to say for sure. I would like to think, on a whole, that readers these days can still use their imagination and not have to have the writers’ creativity forced upon them in a lazy way. Can I fault the writer for that? No, not by a long shot. Are there any faults with the novel – plenty, but this was a debut novel, so nit-picking just seems like I'm being petty. I was summarizing there and went slightly (WAY) off-track. Spook’s Apprentice is a child’s tale, some of the best stories I've read and heard stem from children stories – I know I was scared, but in equal measure excited by such yarns when I was a nipper. Joseph Delaney has something special with The Wardstone’s Chronicles and I cannot wait until the next in the series (well I think there are currently 9-10 out, so lots to read). It is hard finding a great fantasy series to sink my teeth into, but I have found one with this series. Thomas Ward comes from a long line of apprentices that eventually become Spooks who are known to be protectors of all things evil. He is the seventh son of a seventh son and when a Spook comes to his village seeking him out, he ends up going on a long and adventurous journey into the wilds to learn the tricks of the trade. Ghost, witches, boggarts abound in this book and Thomas slowly learns h It is hard finding a great fantasy series to sink my teeth into, but I have found one with this series. Thomas Ward comes from a long line of apprentices that eventually become Spooks who are known to be protectors of all things evil. He is the seventh son of a seventh son and when a Spook comes to his village seeking him out, he ends up going on a long and adventurous journey into the wilds to learn the tricks of the trade. Ghost, witches, boggarts abound in this book and Thomas slowly learns how to deal with them. I was pleasantly surprised by the storyline as it just flowed smoothly along capturing my attention throughout the book. All the characters in the book became vivid to me as it just grabbed me and pulled me into this fantasy, supernatural world. Some reviewers have said the book was scary to them. I didn't find the creepy feeling, but I did find a wonderful fantasy series to read. Four stars for this one. Σε αυτό το βιβλίο πίστευα πως θα διάβαζα άλλη μια ιστορία για μάγους και μαθητευόμενους. Κι όμως ξεχωρίζει αρκετά απο τα υπόλοιπα τέτοιου είδους που κυκλοφορούν. Οι σκοτεινές εικόνες που σου μεταφέρει ανά σελίδα του σε εξιτάρουν και προσωπικά το ευχαριστήθηκα αρκετά. This “young adult” book actually offers more chills and thrills than adult horror books I have read. Surprisingly well written. There were moments that actually made me have that feeling we all know of when we are watching a horror movie and we want to cover our eyes. The language and words the author chose made for a very eerie atmosphere. In my limited experience in reading horror (Stephen King, John Saul) I have rarely gotten frightened by anything I have read. Though when it comes to movies This “young adult” book actually offers more chills and thrills than adult horror books I have read. Surprisingly well written. There were moments that actually made me have that feeling we all know of when we are watching a horror movie and we want to cover our eyes. The language and words the author chose made for a very eerie atmosphere. In my limited experience in reading horror (Stephen King, John Saul) I have rarely gotten frightened by anything I have read. Though when it comes to movies I am wimp. This book, and this author, made me realize why this is. Often times it is not what we see that scares us. But what we don't see. It is not what we read. But what we don't read. And many times it is what we hear but don't see that makes us want to hide under the covers. Something this book did very well. Recommended to children who are not easily frightened. For those who love horror but aren't quite ready for their parents and older siblings favorites but ready for something a little scarier than Goosebumps. A bit of warning. It isn't a “safe” book. Bad things happen. Bad things are mentioned. And there is no easy “happily ever after”. Probably not a good first introduction into horror. Though that is also my only complaint. The end. It seemed (to me) as though the author took the safe route when he should have “just gone for it”. I also recommend it to those parents and older siblings themselves. I think any horror fan, of any and all ages, would enjoy this. I am actually tempted to file this one under “horror” and not “young adult”. So the other day I was bored (common occurrence with me) and plucked the movie "Seventh Son" off the library shelf even though most of the reviews said it was rubbish, and two hours later I thought, "Eh, that wasn't too bad, bet the book is better." Imagine my surprise when the movie is almost nothing like the book... and the book, had it been turned into a movie, is about a hundred times creepier than anything the movie came up with. I liked the book a lot. The boggart who fixes breakfast and ta So the other day I was bored (common occurrence with me) and plucked the movie "Seventh Son" off the library shelf even though most of the reviews said it was rubbish, and two hours later I thought, "Eh, that wasn't too bad, bet the book is better." Imagine my surprise when the movie is almost nothing like the book... and the book, had it been turned into a movie, is about a hundred times creepier than anything the movie came up with. I liked the book a lot. The boggart who fixes breakfast and takes the shape of a ginger cat. The witches buried upside down in the garden, and the one who (SPOILER) gets out because the hero's stupid mistake (/SPOILER). The lessons about moral ambiguities and that no one is either all good or all bad. I gotta knock one star off, though, because the clunky writing bugs me. There's so many needless uses of "was" and "were" that I wondered more than once, "Did this book even have an editor?" Unless something happens halfway up the hill to stop you from climbing it, "we started walking up the hill" isn't necessary; it's "we walked up the hill." Sorry, the editor came out in me, and she's almost as ruthless as this story's villain. Only I don't leave a silver slimy trail in my wake. Plot: A young boy apprentices to the Spook and learns to defend the County and combat the growing threat from the witches. I have decided to give this book a shot because it is being adapted into a major film. This was definitely a children's book, but the horror element may be too gory for very young kids. The writing was simple. It had an interesting plot, but the characters were under-developed. The book felt more like a summary Plot: A young boy apprentices to the Spook and learns to defend the County and combat the growing threat from the witches. En realidad 4.5, sólo porque me hubiese gustado que desarrollara algunas partes de la trama de una manera más extensa, pero, a veces (como decía mi profesora de Historia Moderna), menos es más :) Se agradece, pues esto es algo que generalmente los autores de literatura juvenil no entienden y es así como nos llenamos de trilogías innecesarias y de libros que, más que tramas bien construidas, le sobran hojas. La historia engancha, la prosa está muy bien utilizada y hay partes que realmente dan un p En realidad 4.5, sólo porque me hubiese gustado que desarrollara algunas partes de la trama de una manera más extensa, pero, a veces (como decía mi profesora de Historia Moderna), menos es más :) Se agradece, pues esto es algo que generalmente los autores de literatura juvenil no entienden y es así como nos llenamos de trilogías innecesarias y de libros que, más que tramas bien construidas, le sobran hojas. La historia engancha, la prosa está muy bien utilizada y hay partes que realmente dan un poco de pavor, pues están muy bien descritas (si, me refiero a la escena de la casa luego de medianoche y la de la tumba del otro aprendiz, específicamente). Es ideal si te gustan las novelas de chicos, brujas y portentos varios. Joseph Delaney is a full time writer living in Lancashire, in the heart of Boggart territory. He first got the idea for the Wardstone Chronicles series when he moved to the village where he lives now and discovered there was a local boggart - ‘a man like me needs boggarts around’. He made a note in his notebook ‘a story about a man who hunts boggarts’ and years later when he had to come up with an Joseph Delaney is a full time writer living in Lancashire, in the heart of Boggart territory. He first got the idea for the Wardstone Chronicles series when he moved to the village where he lives now and discovered there was a local boggart - ‘a man like me needs boggarts around’. He made a note in his notebook ‘a story about a man who hunts boggarts’ and years later when he had to come up with an idea at short notice developed this into ‘The Spook’s Apprentice’, the first book in the series. “And an unaware witch means a witch who doesn't know she's a witch, and because she's a women that makes her double trouble. Never trust a women." My mothers a women," I said, suddenly feeling a little angry, "and I trust her."